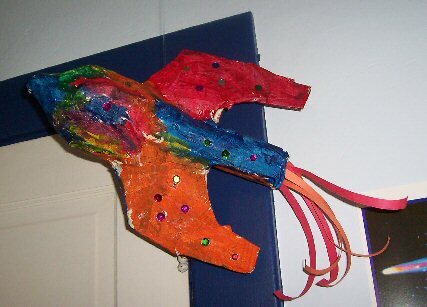 Maya and I made this rocket ship out of paper mache. The base was made from a paper towel cardboard roll and crucnhed up newspaper. when the paper mache dried she painted it and added sequins and we added construction paper strips on the back and Voila!